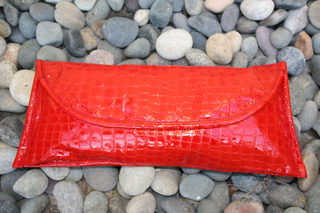 This women's clutch bag fits into the palm of one hand, we love the look because it's simple and stream-lined. 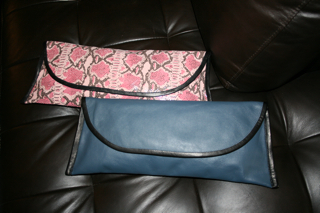 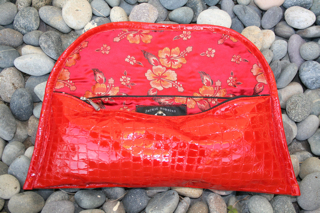 When you lift the flap it has a fully zippered compartment and an open area behind the pocket. 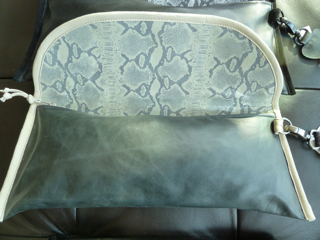 The under-flap is made from a co-ordinating leather and the inside of the pouch is fully lined in satin or tapestry. 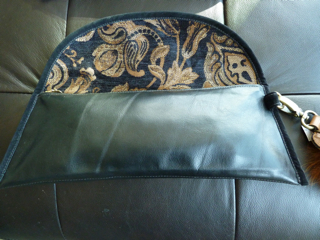 A small zipper pull of leather or metal is a nice accent. 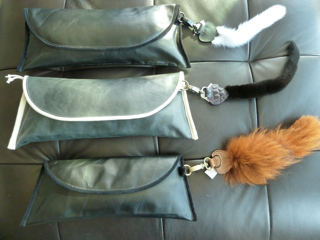 The whole bag is piped in leather as a finish. 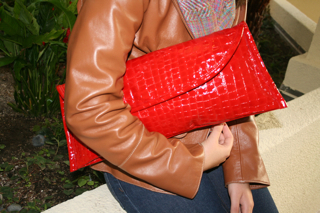 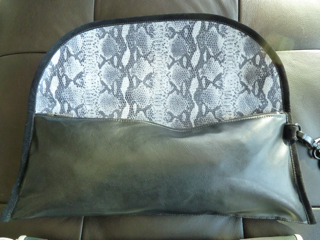 Purchase this bag by Custom Order in a variety of leathers, colors, textures and combinations.